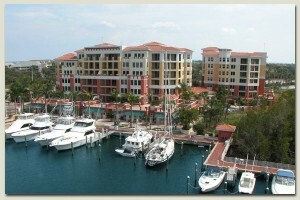 Jupiter Yacht Club is a waterfront mixed-use development including a 35,000 square foot office building, a 120-room hotel, 15,000 square feet of waterfront retail, a 9,000 square foot yacht club, 160 luxury condominium apartments and an 89-slip marina, all overlooking Florida’s Intracoastal Waterway; a mariner’s paradise. The Jupiter Yacht Club provides a full deep-water access marina. Amenities include a heated swimming pool, spa and sun deck. The beautiful Mediterranean-style building was designed by Robert M. Swedroe. George Gentile’s lush landscaping completes the picturesque tropical scene. With only 48 residences, this exclusive community is a sanctuary of peace and privacy.Two luxurious two-story penthouses with 3 bedrooms, 3 and 1/2 baths, vaulted ceilings, 2-story salon, den, morning room and luxurious master suite.